Every Friday we HOP with the co-hosted “Friendly Fill-Ins” courtesy of McGuffy’s Reader and 15andMeowing. It’s fun and interesting and we love learning new stuff about everyone who fills in the sentences we are provided by our hosts! If you’d like to join in too, click the badge above and use the Linky Tool and you’re IN! So they say – but you can still hop around and read interesting STUFF about your friends right?? So this week’s sentences – two from McGuffy’s and two from 15andMeowing are below with my Mom’s fill-ins in BLUE! 1. If someone were visiting my area, I would recommend a visit to our very own little town of Warrenton – we have a haunted jail, some Civil War note-worthy battlefields (no matter what may be in the news lately!) and a whole lot of VERY friendly people! 2. My favorite room in my home is the kitchen – I do love to cook!. 3. Back-to-school time makes me think of how different things are NOW at school vs. when I was in school – it’s like night and day, right down to the dress codes! 4. My favourite year of school was Senior Year, because even though I was a good student, I always had a secret fear that for some weird reason I wouldn’t graduate – but of course I did! Thanks Mom! Good job………………….I see you avoided telling everyone WHAT YEAR you graduated – guess that would be T.M.I. (too much information) huh? HAHAHA. Now I need to move on to thanking my friends Hemingway and Steinbeck for that Blogger Award they nominated me for – AND complying with all the rules – well almost all of them anyway. Here’s the pretty award badge – Mom tells me she actually won this some years ago but it’s been SO long, we’re excited to have it again! THANK YOU again guys for the nomination. 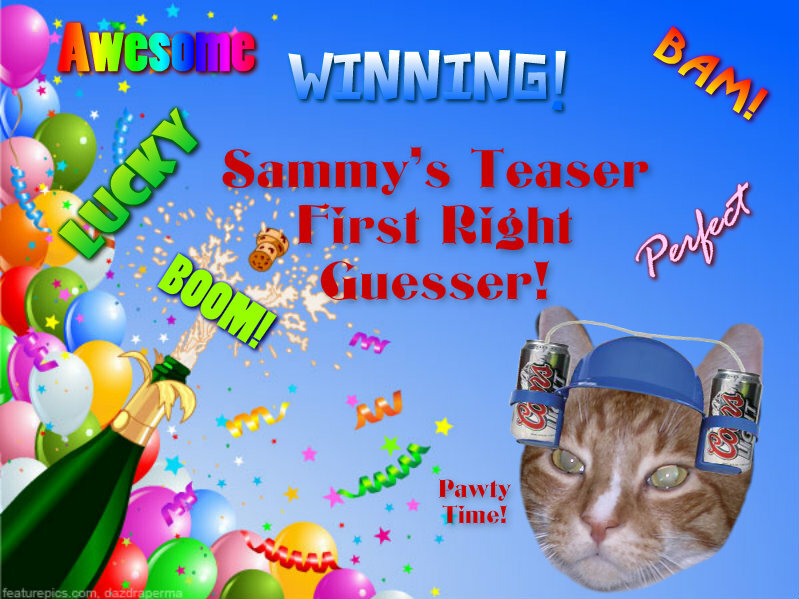 This is “my” very first award…………Mom has a pile of them already posted on a separate page of the blog but SHE and SAMMY earned those and this is the first one since I joined the team so I’m calling it MINE! Mom will let you know how she started the blog and give some advice. 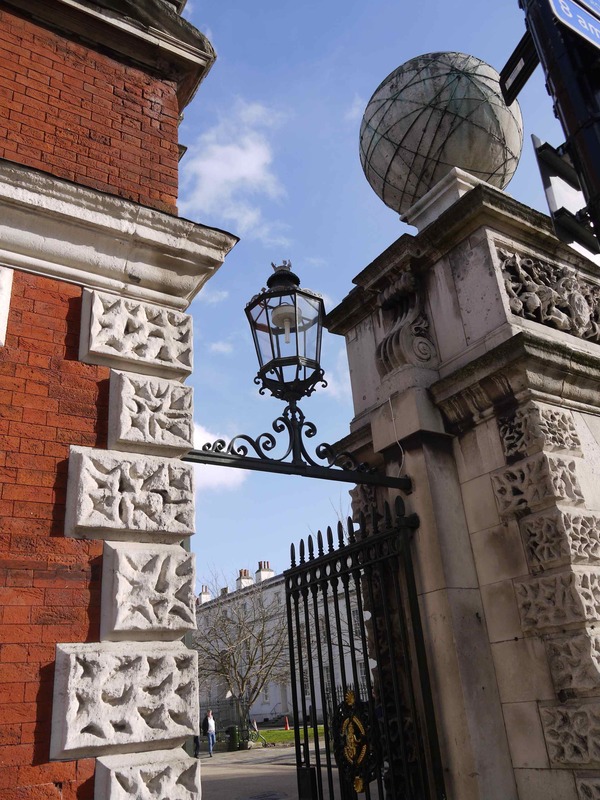 I’m afraid I’m just too new at this to give advice – although I will say that you need to HAVE FUN when you blog – if it’s a chore or hard work or makes you unhappy – don’t do it! Mom here – Many eons ago I was a frustrated writer and artist who had lost my “mojo” thanks to a battle with cancer. I had to stop writing just after my first mystery novel was published – not only did I not feel very creative at the time, but I just couldn’t come up with ideas – my treatments muddled my thinking too much. I had also painted – oil painting, pen/ink, some watercolor work. In other words I’d been CREATIVE. 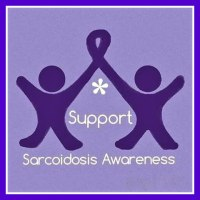 Anyway, after I finished my treatments I thought things would go back to the way they were but they didn’t…………..so I found my “NEW NORMAL” by starting a blog. 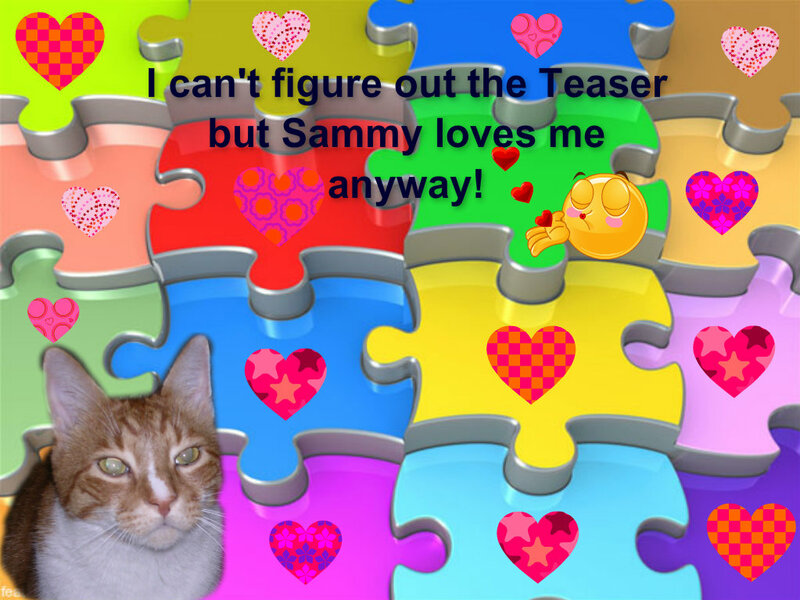 It got me writing again – not in the form of a novel, but I DID write some short stories and I DID start a blog which was written with the help of my fabulous cat Sammy. He pretty much took the whole thing over – he had a big personality! So that’s how the blog was started – because I needed to be creative and enjoyed meeting new people. Thanks again Mom!!! Thanks again to Hemingway and Steinbeck – if you don’t know these two guys, you should. Please visit them and enjoy as much as I do the FUN of watching Steinbeck drive Hemingway crazy just like any little “kid” would do. 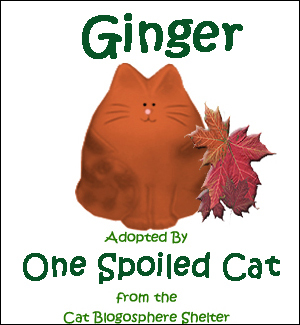 Besides – Steinbeck is a GINGER and you know how much fun we GINGERS are! See you all tomorrow for BACON CATURDAY! Don’t mind me – I’m just hanging around watching Mom with laser eyes!!! An Award AND Pre-Tease Monday! Hello All! Are you ready for tomorrow’s Teaser? Hummmmm???? Good – remember it will pop up at a surprise time so be purrrrpared! I’m still wrangling with Mom about which photo to use so can’t tell you if it will be a Guest Teaser or not so just be ready for WHATEVA. Now, on to the AWARD part. 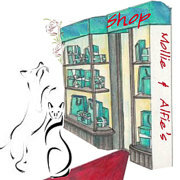 My good new friend Doctor Phoebe and her beautiful cat Samantha nominated me for the One Lovely Blog Award. I received this one several times long ago but it HAS been a couple of years, so I am happily “re-accepting” (?) the nomination for this award from them. If you don’t know Puppydoc (Dr. Phoebe’s nickname) and her kitty, you should visit. It’s a wonderful blog. 1-Thank the person who nominated you and link their blog in the post. Thank you dear Doctor Phoebe………you’re a most special lady doing a most special job and I bet you are happy to get home to your pretty kitty girl Samantha after a busy day at work. I appreciate you nominating me for this award! I’ve linked to you above. I’ve also posted the award rules and the badge so that takes care of #1 and #2 on the rules! For #3, here are seven facts about ME ME ME! 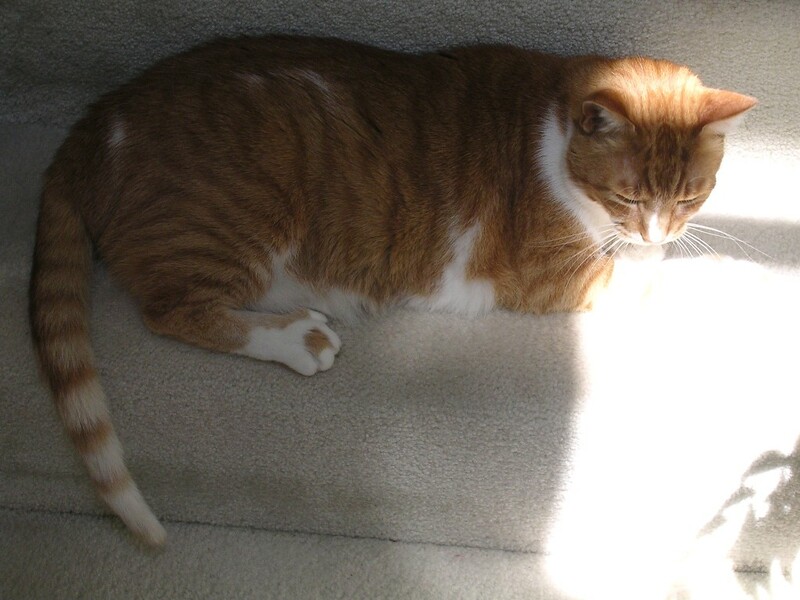 I think everyone knows this by now but just in case you don’t, I’m a polydactyl ginger kitty – I have “thumbs” on my front paws so one extra toe on each! I am an “only cat” in my house and that’s why I named my blog “ONE SPOILED CAT” – because I most definitely AM just that! I am a Cat Scout – an organization of all cats which is based on “Boy/Girl Scouts” and where we earn merit badges, go on Quests together, have Patrols and Troops and EVERYTHING! 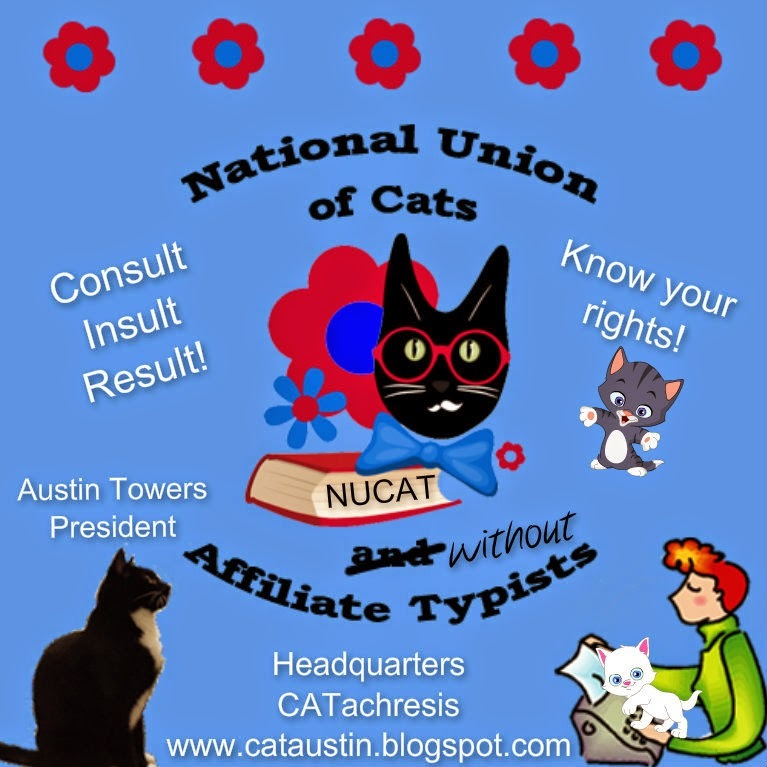 If you’re a cat, you should join up! I’m a Troop Leader (The Wildcats Troop) and I’d LOVE to have you join us! My Mom has written a mystery novel, two childrens books, edited a book of poetry for a publisher, and was one of five women who wrote a book about “womens journeys” in short story form. Sadly the short story book is out of print now. You are saying “that’s not about YOU Sammy – it’s about your Mom” but you see I helped her and was the inspiration for both of the kids books! I am an inside kitty BUT from kittenhood when I first came to live here after I was adopted, I wear a harness if I’m going outside in the dark. Otherwise I can go outside as long as my Mom or my Dad is with me. Honestly though, at my age of 16 I prefer being INSIDE and napping!!!! I love to graze on the grass when I’m outside. I like Mango juice. Yes – I said MANGO JUICE. Mom left her glass by her chair a couple of weeks ago and when she came back I was slurping it up like crazy. Mom won’t let me have it now because it has sugar in it but it SURE WAS DELICIOUS!!! So there you have it. Seven things about me. 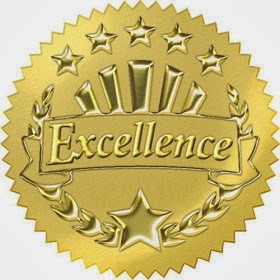 Now for my nominations……………I think most of you have received this award like I have in the past. It’s really fun that we’re beginning to see some of these again though don’t you think? If you don’t want to accept the nomination, I will understand, but if you would like to, here are my nominees! Those are the ones I’ll “shout out” to but if there are any other friends of mine here who would LIKE to comply with the rules and have this pretty (or should I say LOVELY!) award, please feel free! That’s the Monday report from us gang – please remember to show up tomorrow and be first commenter, first right guesser, a right guesser, or a dunce (oops – I mean a Greenie winner) – and I’ll look for you there!!!!! Hello Everybody! Well, yesterday in my inbox was a surprise – – – it’s been a long time since we were nominated for a blogging award – it seems those things come in “bunches” don’t you think? This one was particularly nice because it came to us from someone we haven’t been following very long but we already LOVE LOVE LOVE – It’s called PhoebeMD (Musings of PuppyDoc) and it’s a most remarkable blog we think. Phoebe is a physician and she has a beautiful cat named Samantha. There are some great photos of the two of them on her blog. However, if you spent some time cruising around Phoebe’s blog you will find out SO MUCH about who Phoebe is, and how deeply committed she is to her patients – no matter what they’re dealing with. She REALLY cares and expresses all of that beautifully with amazing poetry and wonderful accompanying artwork. My Mom just loves her poetry – it “speaks” to her and she thinks it might partially be because Mom worked in hospitals around physicians and patients for so many years. If any of my nominees don’t choose to accept the nomination, please don’t feel bad about that – I understand – but if you do accept, please pass it on as you wish! So, now I’ll tell you how our blog got started. It kind of goes back a long time to when my Mom had her last cancer surgery – she had a year of treatment after that and when she finished the treatments, she said she just plain felt DIFFERENTLY about everything! EVERYTHING! She had been a writer – was going to write a mystery series in fact and had published the first book – she had been an artist – mainly oil paintings but a lot of pen/ink drawings – and she knew ZIP about blogging. During the year of treatment she changed – she lost interest in writing and painting – and what had been her art studio became her office. She began looking around online and discovered blogs – enjoyed reading them and decided to “dip her toe” back in the water of writing and try it. I was a HUGE part of hers and Dad’s life and since I was a rather large personality she thought why not let ME be the STAR of the show and actually be the author of the blog! So in 2011 we launched ONE SPOILED CAT and the rest is history. We have almost six hundred followers and we love everyone and enjoy telling stories of the life we lead in our home in Virginia. I might be an old guy now of sixteen but I still have fun and I still make my Mom giggle and laugh and as long as I’m around, we’ll be blogging! We hope you have as much fun READING our blog as we do writing it every day. Now, what are you waiting for – go visit Doctor Phoebe (or “Puppy” as her friends call her!) and see what a special lady she is…………….then you’ll understand why we were so thrilled she nominated us for this blog award. Just like I hope my nominees are happy when they are nominated and when they can pass it on to others they enjoy reading. REMEMBER – I love all of you – I could have just said “take the award if you want to” but this time I thought I’d put everyone in a big hat and decide on just four. THANKS FOR BEING OUR FRIENDS………………and thanks Puppy Doc for being the caring physician you are for your patients………! Well it seems that the photo we posted yesterday fooled VERY FEW people! Lots of people recognized where this photo was snapped………………..were you one of them??? Here’s an “instant replay” ! 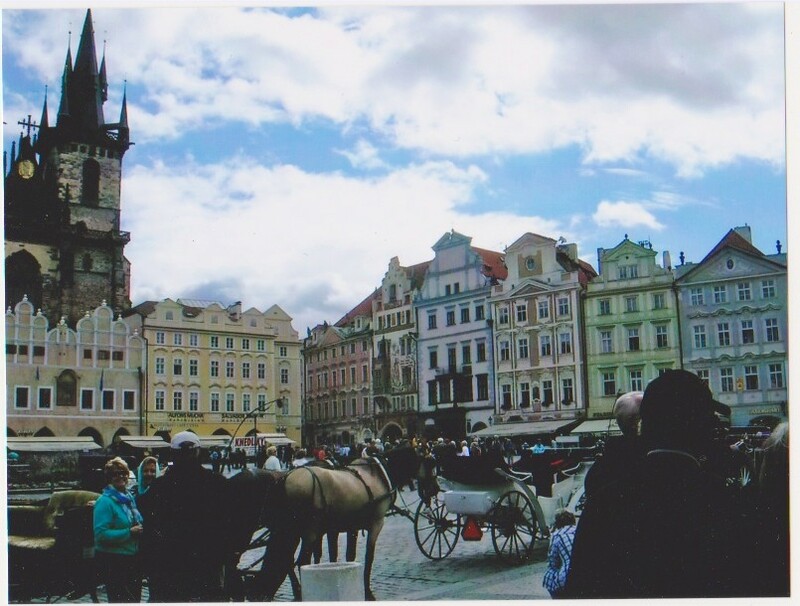 This is market square in Prague, Czech Republic………..the very FIRST stop on the tour my parents did when they took a cruise on the Danube River. Prague isn’t anywhere NEAR where the river cruise actually started though – they had to bus to the ship then go on the cruise. It was a wonderful tour and they had a GREAT time. They were in a hotel in Prague for two days and the tour group went to this beautiful spot and did a lot of shopping for glassware and other souvenirs. 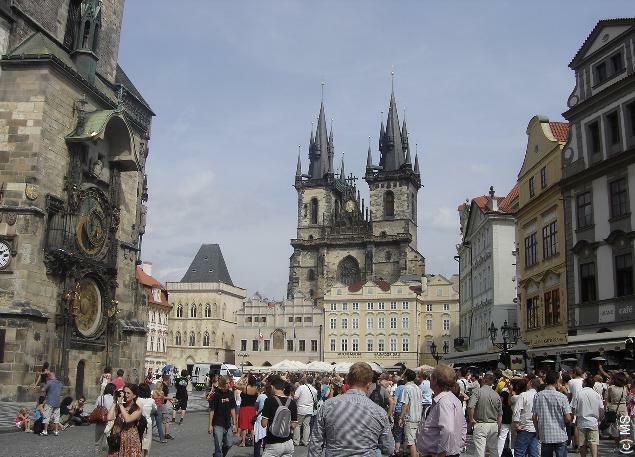 This is also the square where the amazing astronomical clock is located which Mom and Dad found fascinating. There was also an antique car show there on the day they were there but Mom didn’t take any photos…..shame on her! 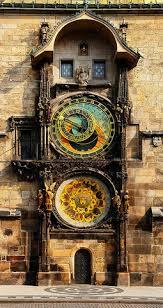 Here are a couple of other google images – one of the astronomical clock and another of the whole square where they did some shopping………………..
Who guessed this FIRST yesterday? Well it was CLOSE (within a minute) but Leo of WalkToRio2016 was FIRST by a hair………………..followed closely by his nemesis (!!) Easy! Leo, this is for you! Easy and a whole BUNCH of the rest of you guessed right – and all of you get this! Clueless? Yeah…………I know that feeling…………you still get a prize! 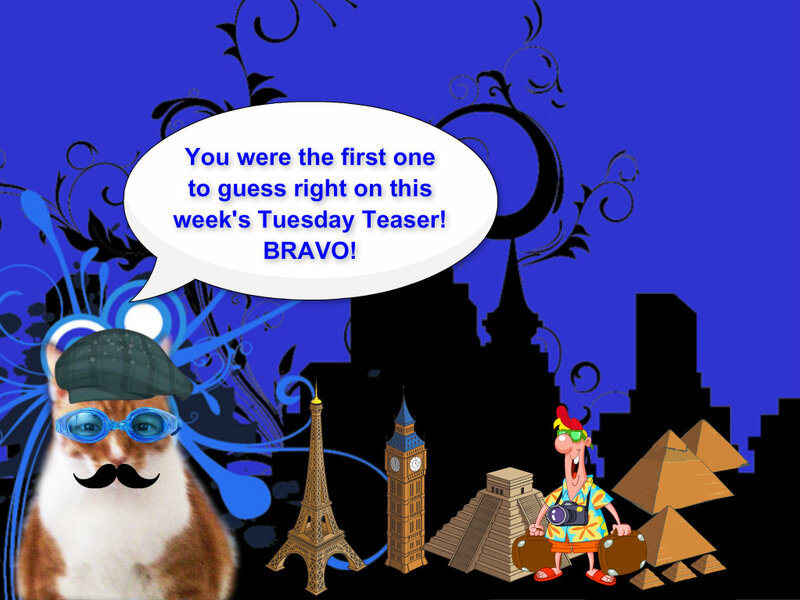 That was fun…………………….next week I’m going to have a GUEST TEASER……………..so stay tuned for NEXT Tuesday! It was originally created as a “thank you” from one blogger to another for some assistance received but the idea is that it’s passed on to bloggers who are “spreading light” with their blogs or are a “positive influence” with their blogging. That’s why I thought it was so special……..it was very flattering that Miss Bev thought I was in that category! Who to pass this award to? Honestly there are so many blogs that I adore……….so many who make me smile or think or hope or feel better………where do I begin? I follow SO many…….each special in their own way. One blogger who makes me smile every single time without fail is my friend Easy the silvermistygrey weimaraner. You can’t read his blog without smiling and feeling better and certainly smiling………he lightens the blogosphere in many ways and he was the first to pop into my head when I thought of who to pass it on to. So definitely this goes to Easy!! 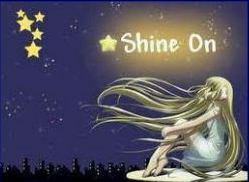 But as I say so many of my blog friends are positive influences and consistently spread light that I’d like YOU to take the award if you feel you can honor the requirements. Thank you Bev Harvey for nominating one very spoiled old cat with this lovely shimmering award!! Now – for the results of my Sam-O-Ween Poll where I asked for your answers to three burning questions regarding my Halloween fun on my blog this October. Here’s what YOU want and this is what WE shall do! I will have a HAUNTED HOUSE for the party! The party will be on Halloween – October 31st!! I hope you’re happy with the outcome of the polls – I am! I had a blast fixing up that old mansion last year for a haunted house and I’ll find a suitable SCARY spot for this year’s party – Be thinking about what kind of costume you want to wear! Hi Everybody! Hope you all had a good weekend…………….sorry I whined yesterday about having to take medicine from now – I should be really grateful that I reached the ripe old age of 14 and never had a medical issue – finally my age is catching up to me. At least I can take a pill for hyperthyroidism! I am LUCKY! Now, here’s the reason for the subject being SunSHINE. 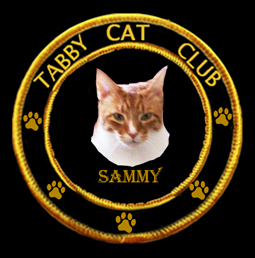 Last week my buddy and pal and fellow Scout Raz of Friends Furever Cat Blog gave me an award – the “Shine On Award” – which is another one I already have but in my new policy of INSTANT REPLAY of all the awards I already have but am enjoying all over again, I’m going for it again!! First of all, thank you Raz for thinking of me. 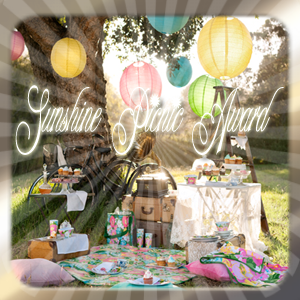 This is one of my favorite designs on any blog award – I like how “artsy” it is and how it really does SHINE! 4. 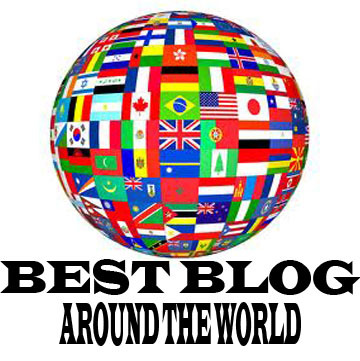 Nominate up to 15 other blogs for the award. When I was a baby, I had one of those stretchy on a cord toys and Mom had put it on a doorknob for me to play with. She left the room for a few minutes and when she came back I had the cord wrapped around my neck a couple of times from batting the toy in the air – and Mom realized immediately just how DANGEROUS those toys on a stretchy cord can be so no more of those for yours truly. Also when I was little I used to walk with my Mom down into our woods to where a great big old oak tree had fallen down on the ground before we moved here. I loved using it like a scratch post and liked to pull the old bark off. That old tree had lots of “bald spots” on it from me pulling off the bark. I don’t go into the woods anymore but I bet that old tree is STILL there! I love raspberry and cherry yogurt (I think I’ve told you all that before though!). I have freckles – LOTS of them – mostly on my lips, gums and eyelids but a few on my pink paw pads too. Believe it or not I have some black hairs in my ginger coat! Mostly on my tail but a few on my back. You have to look closely to find them but they’re there! If I could change ONE THING about my life……………………….I wouldn’t !! Things are perfect just the way they are………. I like to walk through puddles…..not muddy ones…..just rain puddles – especially if I see a worm in it – worms are fascinating. Now I know that almost everyone has this award and I also know that many people (a) don’t accept awards any longer or (b) just don’t have time to work on award acceptances SO, can I just say that if you would like to have the Shine On Award (even if you already have it like I do! ), please take it but follow the rules and tell people seven things about yourself…….because it’s fun to learn new stuff about our friends isn’t it? 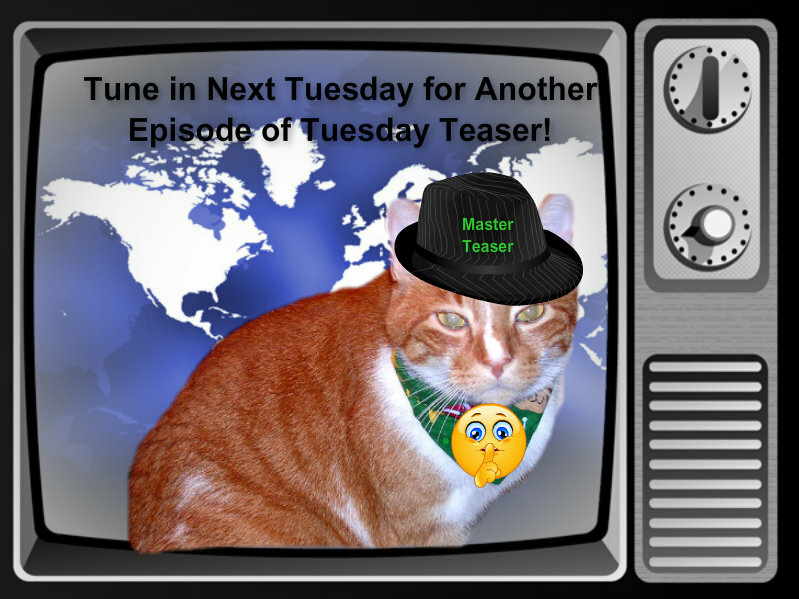 Tomorrow is TUESDAY TEASER……………I might have a Guest Teaser for you but I’m waiting to receive it – if I don’t get it in time, it will be from my Mom’s photo albums! 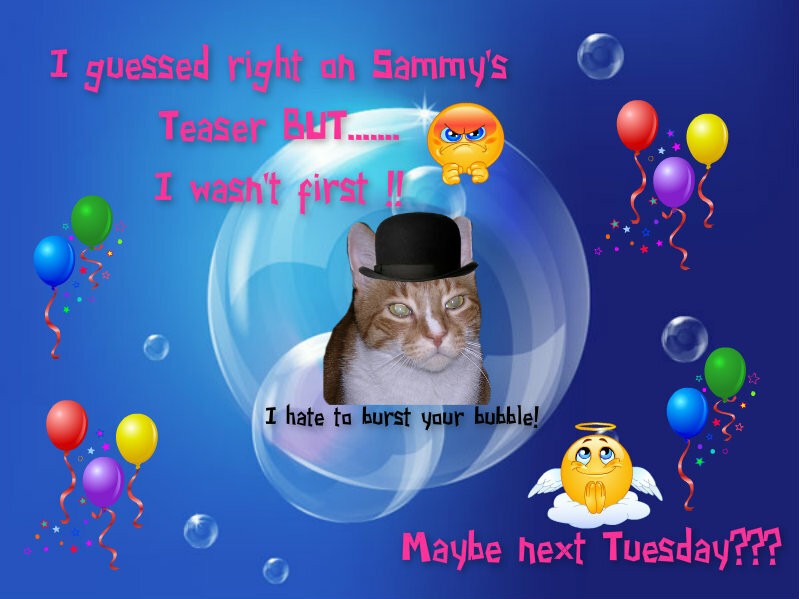 So STAND BY……………………tomorrow’s Teaser will of course be at a SURPRISE TIME!!!! Gosh if I didn’t have my extra toesies I’d run out of fingers to count the times I’ve been nominated for the wonderful Liebster Award…………..and this past week I was nominated TWICE for it! Once by Trifles and once by Lone Star Cats! 1. What is your favorite piece of music? 2. Who is your favorite actor/actress? 3. Has your life ever been in danger? No……although I’m a cancer survivor so maybe – technically – YES! 4. What is your favorite plant? 5. If you were a pet, would you like to be a dog or a cat, or something else? 6. Which profession did you want to choose as a child? 7. What do you do if you are out of temper? 8. How does the house/flat of your dreams look like? 9. What would you choose: to be a renowned scientist or to be a famous artist? Why? 10. Have you ever tried some arts (literature, music, acting, fine arts, etc.)? Have written some books……….have taken art classes and sold paintings in galleries…….played the piano…….. The only “sport” I enjoy playing myself is croquet (!) – but I love to watch football, baseball and swimming/diving competitions! 1. Which are better, bacon or crab? 2. Do ya like da vet? 3. Do ya like pups? 4. How did ya get your name? Before my parents went to the shelter to look for a cat to adopt, my Mom asked my Dad what he’d name the cat they got – he said “Sammy” – so here I am !!!! 5. Do ya have to get your nails trimmed? Yep – sure do – and remember I have EXTRA toes – takes longer but at least my parents do the trimming not the vet !! 6. What are your favorite place to snooze? 7. Has ya ever gotten to kill anything? 8. Do ya run away from da litter box after doin a stinky in it? Well, let’s just say that I don’t hang around too long but I don’t run away – I stay to snoopervise my Mom as she bags up my stinky for disposal……making sure she doesn’t MISS anything! 9. What are da best piece of peeple foodz ya ever snagged? I have had several interesting bits of people food that were very yummy……..salami, lobster, pizza…..but that was in my youth. These days my tummy reminds me if I eat something I shouldn’t! 10. What are your favorite toy? I have a somewhat WEIRD favorite toy. Many years ago one of my first baby toys fell apart from overuse – it had two small rubber rings on it which I still have and like to carry them around the house. If my Dad forgets to leave me a treat by his chair when he goes to bed at night, I leave one of my rubber rings there so he’ll see it first thing in the morning and realize he made a BIG BOO BOO and forgot my treats! Now, I need to nominate ten other blogs who have fewer than 300 followers for the Liebster………..I think instead of calling out ten of my buddies who may or may not have time to answer the questions, I’ll just say if you would LIKE to answer my questions and accept the Liebster (even if you already have it like I do!!! ), here are the questions from ME that you can answer!!! Ready??? 1. If you could visit another planet, which one would it be and why? 2. Do you really think kitties have NINE lives? If you’re a cat, what number are you on???? 3. Do you like to eat bugs? 6. 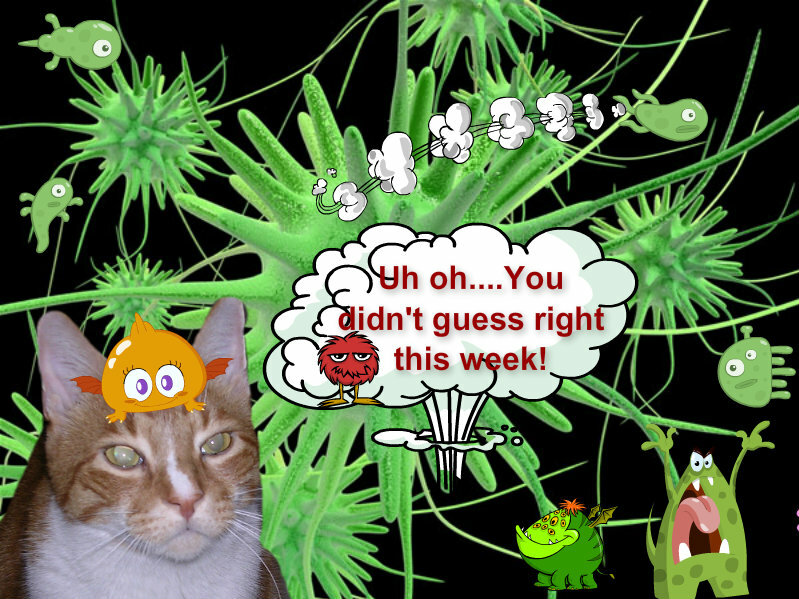 What’s the funniest place you ever deposited a furball (got sickie)? 7. Do you get to eat wet foods AND kibble or are you on a special diet? 8. Do you like to get brushed or combed? 9. Do you like riding in a car? 10. Do you have any health problems? 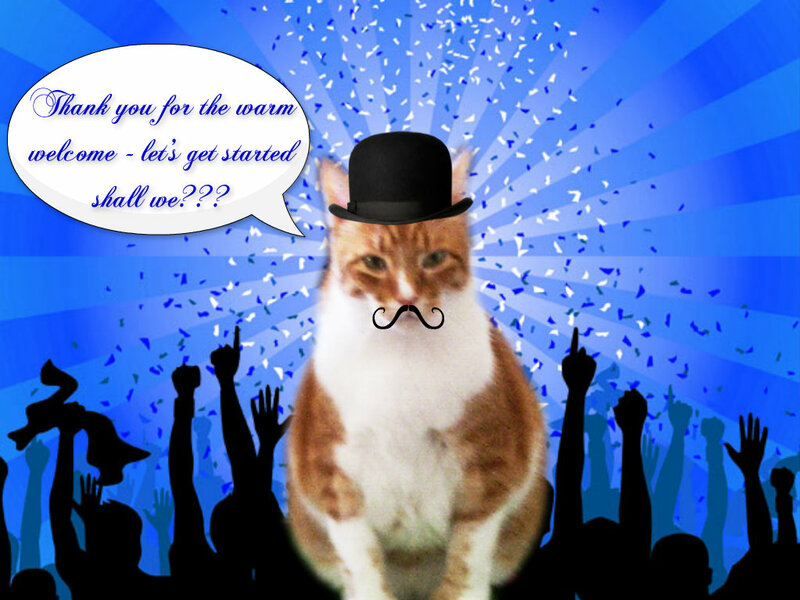 If you wanna pawticipate, remember you must answer the questions you’re sent – thank the person who nominated you – and then nominate ten blogs (supposedly with 300 followers or less) for the Liebster, and give them ten questions of your own to answer!!! Cool? So there my friends………………..I’ve done my duty and I must thank profusely Trifles and Lone Star Cats for nominating me for the Liebster…..I have a bazillion awards – I’m truly lucky to have such great friends – but I thought it was time I pawticipated again – just in case you’re not tired of hearing ALL ABOUT ME! Howdy! I realized as I started doing my blog for today that I used my pigtastic artwork for the wrong day – should have been TODAY right? Pig? Bacon? Yum? Well, that’s alright……I have lots of other pictures of my most favorite nommylicious food in the entire universe that could be gracing my blog today………..like these for instance!! I also want to thank my buddies at The Island Cats ! Why? 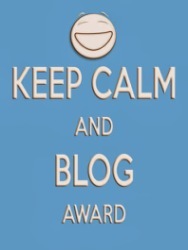 Because they very graciously passed on a way cool award to me yesterday – the “KEEP CALM AND BLOG AWARD”…….well, I try to keep calm but sometimes (like on Saturday when bacon’s cooking in my house) I tend to get a little UN-CALM, but I’ll try real hard so I can deserve this award! THANK YOU ISLAND CATS!! Rules are I need to post the award (done), link to the sender (done) and pass it on to ONE friend. I’m passing it on to my friend Easy. He’s offered the use of his guest room for me to stay while I attend Gauguin’s Art School which is not far from where he lives. He sees potential in my fabulous artwork. What a guy (although he may need glasses if he sees potential…hahaha). The other thing I have to remind you about is that today is Ranger and Stuart’s joint BARKDAY and they’re celebrating it with the DOGTONA CAR RACE and you know who (me) has entered! You’ve got to stop by Ranger’s blog and get the scoop – today’s the day – you want to cheer me on right? …………..VROOOOOOOOOOOOOOOOOOOOM! Because I’m an old guy, I’m in the second race of the day at 11:00AM Eastern Standard Time…..and I hope you’ll come see me race…..!! Here’s Stuart’s blog ! WHETHER BACON IS INVOLVED OR NOT! Alright…ok….so I’m overdoing it a bit but I just wanted to make sure you know how much I enjoy being your Master of Ceremonies every Tuesday (well almost every one anyway) so without further ado, I present today’s photograph for your viewing entertainment! And the rest of you pals and friends who haven’t got the slightest idea where it is OR who guess totally wrong (eeek) will get this! Tomorrow I’ll hand out badges and tell you a bit about where this photo was taken and who our “Guest Teaser” was who sent me the photo to use for a Teaser…….how’s that grab you???? Meanwhile, I want to get back to a subject that I mentioned last week which is my Mom’s pathetic excuse for not thanking everyone who has been so generous with sending me blog awards lately – what pathetic excuse? The moon trip….she says she was so up to her eyebrows with that whole event that she didn’t track FOR AT LEAST A MONTH (what?) who sent me what. Isn’t that just awful? So, we’re starting from square one. At least we will after we APOLOGIZE and THANK everyone who sent me an award that I never thanked you for. Please? Please forgive me? To begin to right the wrong, the last three I received was ones I already had but STILL should thank the friends who nominated me for – My Three Moggies awarded me the “Best Blog Around The World” . My pal Nerissa nominated me for “The Excellence Award”, and Playful Kitty nominated me for the “Liebster” !!! THANKS TO ALL OF YOU………………..! So, before I say Ta Ta, remember to send your guesses in for the Teaser because you only have TODAY to guess……..tomorrow I “Tell All” !! Mom and I are working on BRAND NEW BADGES (I’m sure you’re tired of these old ones) so hopefully by NEXT Teaser Tuesday there will be new ones to award. YAY! Hi all!! Yep – today is gonna be a cruisin’ kind of day. Mom and I DO have some work to do in prep for the Moon Trip BUT it will not be as time-consuming TODAY as it has been. Why? Because Mom is getting eyestrain (need I say more??). So today there will be napping activity on MY part – if I’m on her lap then she can’t be also at the computer because I don’t like to sit on her lap while she’s “clacking away on the keys” of the keyboard. I like nice, quiet naps on outstretched legs! Yesterday I was honored to receive an award I don’t have (I know….imagine that!!! 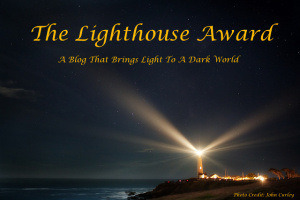 )………..it’s called the Lighthouse Award and I got it from my friends at Moggiepurrs! Well I love lighthouses – my Mom has painted tons of them as you well know…….but this is a really pretty award badge and I’d like to thank Moggiepurrs for sending it my way. Then I’d like to share the requirements for passing this one on – and finally I’ll PASS IT ON! Give people something to SMILE about every single day since I blog every day. The world is often an unhappy place and my goal is to “happy it up” as much as I can! Help spread the word when I discover a new pet blog – the world of pet blogging is constantly growing and those just starting out need our support and help! Maybe help those who don’t get to travel see some of the world they might not otherwise see with my every week feature “Tuesday Teasers”….I’ve been told by many people that Tuesdays are the highlight of their week because they learn something and often see something new. And you just know I can’t leave today without encouraging you to NOT WAIT UNTIL THE LAST MINUTE to join us on the Moon Trip. 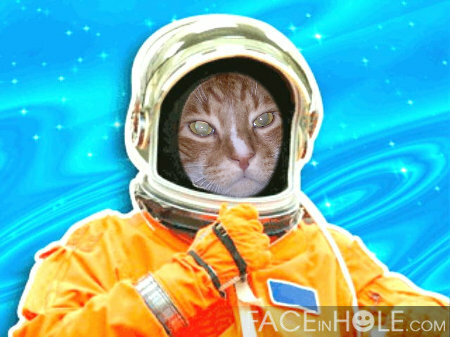 Last day to submit your spacesuit and other photos if you’re entering the contests is MONDAY, FEBRUARY 24th!!! Hi Ho!!! Today’s the day you wait for every week!!! What? Did you say what I think you said? That you don’t wait for Tuesdays every week? CAN THIS BE???? NO!!!!!! 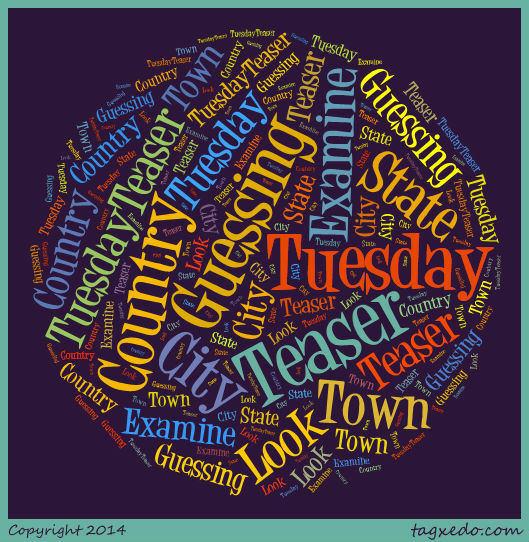 You all love Teaser Tuesdays and you know it. So in spite of any protestations to the contrary, I’m having a Teaser today….so there!! 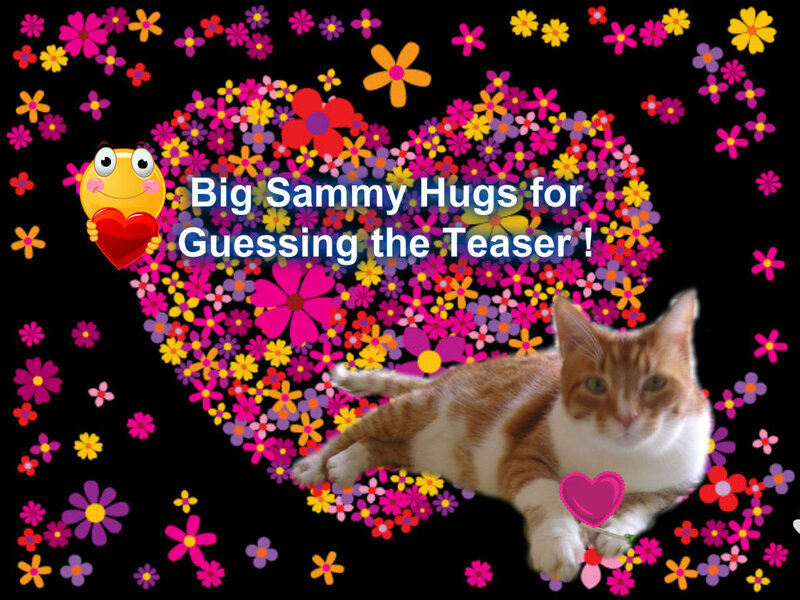 Guess what else…….it’s a GUEST TEASER…….that’s right – not one of my Mom’s OR my Dad’s photos……….this was contributed to the Tuesday Teaser cause by a good friend of ours and you’ll find out WHO that is tomorrow when I do the “Tell all”. Until then, you’ll have to take a gander at this photo and let me know exactly where this is………place/country the whole works!! If you just guess the correct country, that’s fine and dandy but unless you tell me exactly where the photo was taken, you’ll get the HUG not the Purple Badge of Courage (hahaha). OK? Ready? Interesting photo isn’t it? Where do you suppose it was snapped? 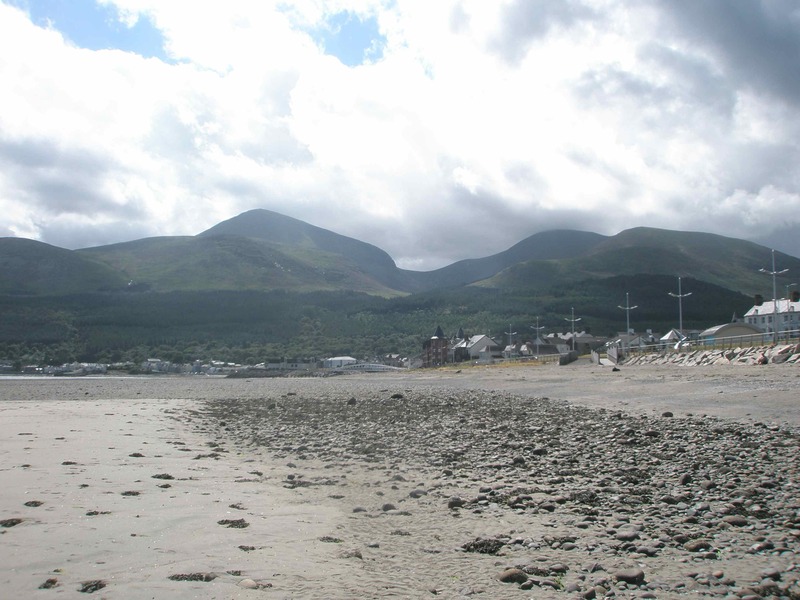 Yep – you’re looking at a mountain of some type but WHERE is that mountain and what is the name of that mountain or mountain(s) ????? HMMM??? If you’re the first fabulous Teaser fan to guess it correctly – you’re gonna get this incredible and much desired badge! If you guess it but you’re not first – well you STILL win something you lucky duck (or pig or horse or cat or dog or bird or human)! If you have NO CLUE whatsoever then I still have one for you too………..everybody wins! So have at it……………and tomorrow you’ll find out where it is and who submitted it to me for a Teaser………..
Also, my beautiful friend Nellie of Cat From Hell invited me to a very special picnic last week and I haven’t had time to pass on the fun this particular “award” entails but it’s lots of FUN and I promise once Teaser activities are over I will respond Sweet Nellie – honest I will! 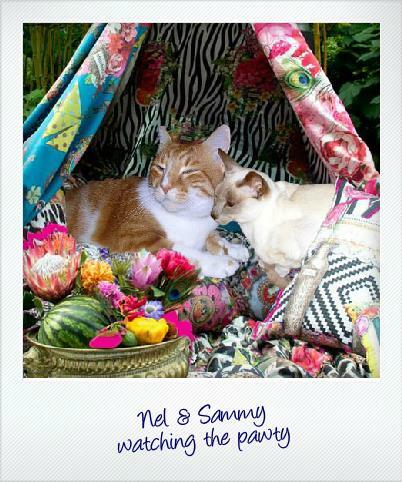 Nellie will be (I hope) my special guest at this picnic too! I have to pass the picnic fun on to ten other bloggers and that’s the part I’m working on now so bear with me. I’m up to my eyeballs in work and will try to do it ASAP. Here’s the “badge” – isn’t it pretty??? Just one more thing before I go. On Super Bowl Sunday those us who were attending the online Super Bowl Party at Cat Scouts found out suddenly that a good friend and fellow Cat Scout, Scout Nick, had gone to the Bridge after some surgery to determine the extent of his recently diagnosed feline lymphoma. Sadly the doctor told Nick’s family that even chemo would not have helped as it was so advanced and in such bad places in his young body. Nick was only three years old. 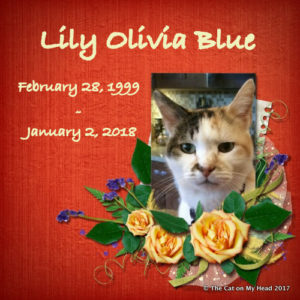 One of our Scouts, Scout Tiger, started a “GoFundMe” special fund to advance the cause of research into feline lymphoma which you can find about if you click on the link below….and if you’d like to help the cause, please do. Thank you for your consideration…..we are so sad about Nick. 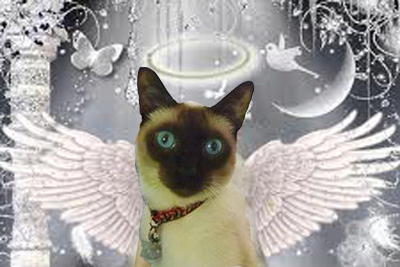 http://www.gofundme.com/NicksLegacy We have sent a donation as have many Cat Scouts……those of you who aren’t Scouts didn’t know Nick, but we feel strongly that the more money that goes into legitimate research efforts like this, the fewer cats and their families will have to go through the pain of this kind of loss. That’s about it for me today gang…..gotta get back to work……so let me just say that while at the moment I can’t complain about the weather you can bet your bippy (that’s a very old term) that I will be complaining and might be as soon as tomorrow. We may get snow. Yep. The “S” word.